Get the most creative and luxurious cakes for your next celebratory event Little Pleasures, a Kolkata bakery which has made Sachin Tendulkar’s 45th birthday cake. Chef Shripriya Gupta Seth is taking the cake game to a whole new level with their 10-year-old brand, Little Pleasures. The bakery specialises in fondant cakes. Once you enter their studio, you’ll be absolutely floored by the designs they have on display. Check out the glow-in-the-dark cake, the floating cake and the Bubble Girl (with special techniques to form the edible bubble out of gelatin). These aren’t just cakes, these are works of art. Their smaller desserts are also a big hit – we just can’t stop thinking about the chocolate choux pastry with chocolate mousse and caramel filling and a glittery macaron shell on top. So pretty! Shripriya has picked up her skills from Le Cordon Bleu, Paris. Before that she had learnt designing from NIFT, so you know how talented this lady is! Through Little Pleasures, she tries to bring together her love for baking and designing which is probably why their cakes have such innovative designs! 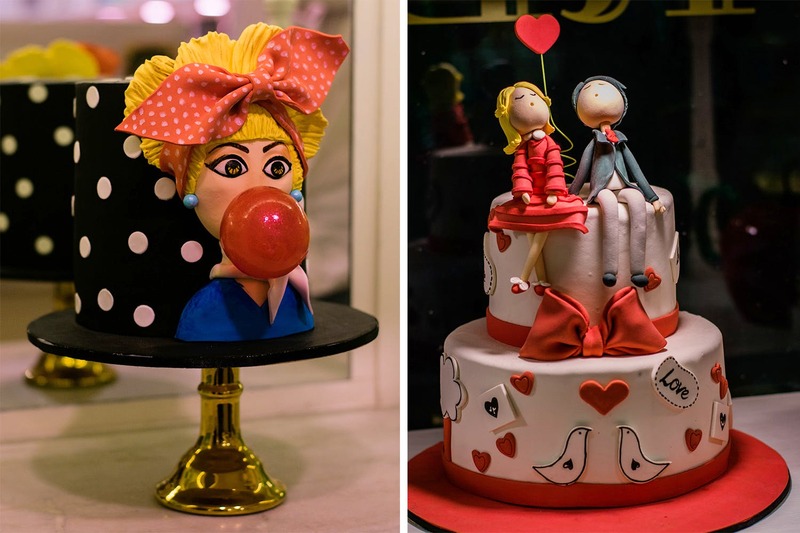 They do everything from fancy birthday cakes to royal wedding cakes and are soon coming up with a café on Sarat Bose Road. We’ll keep you posted! Price: INR 1,300 for 1 pound. Contact: +91 98310 91723.